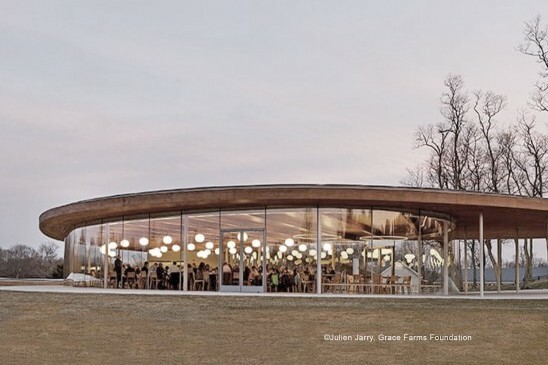 Since we left them in 2015, the Grace Farms Foundation has thrived as an iconic community homebase and its River building has become a case study for exemplary architecture - an example of how the form of public space can foster cultural exchange and belonging. 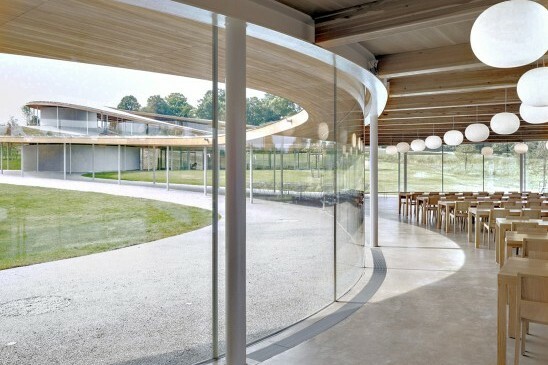 Located in Connecticut, near the mega-city of New York, what was once expansive farmland dotted with rural properties and crop fields, was repurposed and made available to the public as an opportunity to enjoy open space and connect with each other and the natural world around us. 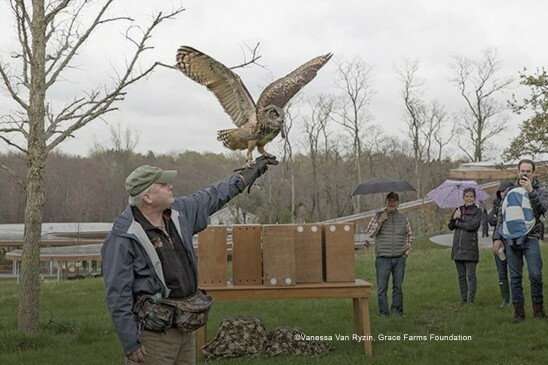 The Grace Farms Foundation, as part of their fundamental vision, "aspires to advance good in the world, providing a peaceful respite and porous platform to experience nature, encounter the arts, pursue justice, foster community, and explore faith." And indeed, through hosting a huge range of activities such as weekly architectural tours, open lectures, art studios for families, various workshops, yoga, dinners, community gardening, book clubs and performances, they pursue this vision on a daily basis and remain attentive to the political climate around the world. The open and challenging conversations in workshops held at Grace Farms have gone on to inform reports for the United Nations Security Council. Sharon Prince, Chair of the Foundation, has been committed to using the space to break down barriers between people. 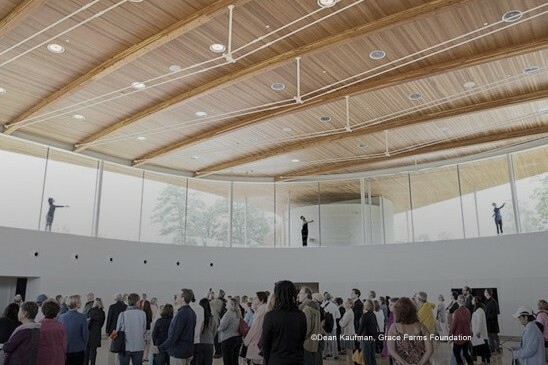 The Foundation gave Pritzker Prize laureates SANAA the architectural directive to design a space that would do so, and give people a fresh perspective. 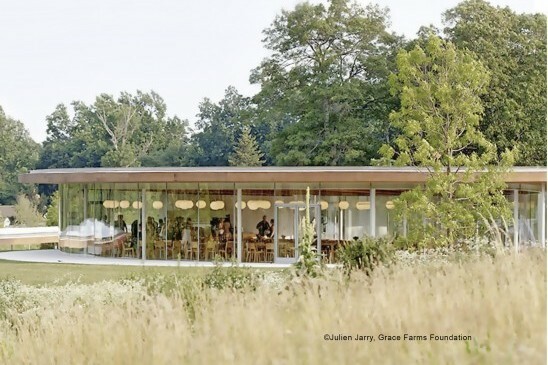 In her recent article for International Women’s Day, she said Grace Farms is "a new kind of public space designed as a catalyst for change and human flourishing." SANAA, who we worked with on the Rolex Learning Centre in Switzerland and the Louvre-Lens in France, were "eager to create a place that invites people from all walks of life into a space of comfort." We worked with SANAA, who have since won multiple awards for the design, to "open the boundaries between interior and exterior" - by crafting environmentally efficient curved glass which helps the River "float" on the landscape and offers transparency between the building and its expansive environment. The result is indeed a space integrated with the landscape, and we are proud to have contributed to this fostering of human connection. Visit the Grace Farms website to learn more about the Foundation and ways to provide support.